In addition to Clarkson and Caan, ‘Out of Blue’ also stars Jacki Weaver, Toby Jones (‘Tinker Tailor Soldier Spy,’ ‘Tale of Tales,’ ‘The Girl’), Mamie Gummer (‘True Detective,’ ‘Ricki and The Flash’), Devyn Tyler (’12 Years A Slave,’ ‘The Curious Case of Benjamin Button’), Yolanda Ross (‘The Get Down,’ ‘Whitney’), Aaron Tveit (‘Graceland’) and Jonathan Majors (‘Hostiles,’ ‘White Boy Rick,’ ‘The Last Black Man in San Francisco’). The crime drama was directed by Carol Morley, who also wrote the script, which is based on the 1997 novel, ‘Night Train,’ by Martin Amis. The hunt for a killer draws a detective into an even larger mystery: the nature of the universe itself. Mike Hoolihan (Clarkson) is an unconventional New Orleans cop investigating the murder of renowned astrophysicist Jennifer Rockwell (Gummer), a black hole expert found shot to death in her observatory. As Mike tumbles down the rabbit hole of the disturbing, labyrinthine case, she finds herself grappling with increasingly existential questions of quantum mechanics, parallel universes and exploding stars—cosmic secrets that may hold the key to unraveling the crime, while throwing into doubt her very understanding of reality. Awash in dreamlike, neo-noir atmosphere, this one-of-a-kind thriller is both a tantalizing whodunnit and a rich, metaphysical mind-bender. 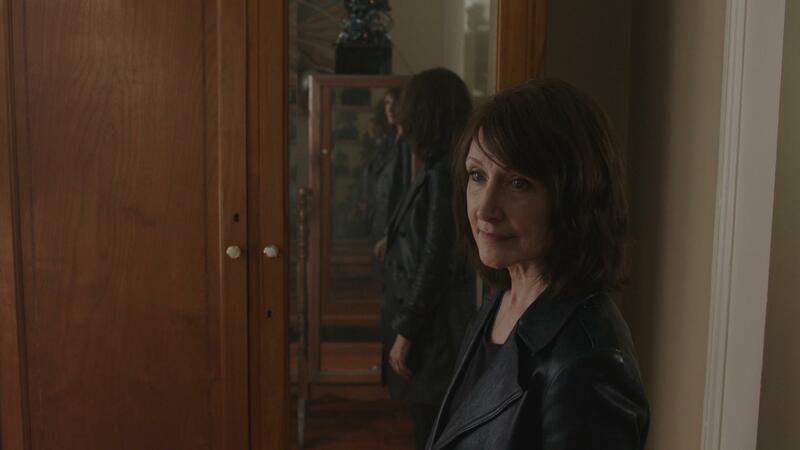 ShockYa is premiering an exclusive clip from writer-director Carol Morley's crime drama, 'Out of Blue,' which features Patricia Clarkson and James Caan.